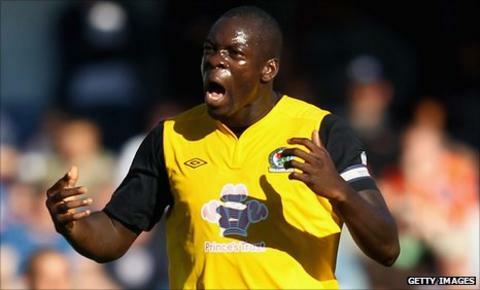 QPR have had a £5m bid for Blackburn Rovers defender Christopher Samba rejected. Manager Neil Warnock has made the 27-year-old Congolese his first permanent target of the January transfer window. Warnock, backed by Malaysian tycoon Tony Fernandes, has promised signings to help QPR climb away from the Premier League relegation zone. He has signed Manchester United striker Federico Macheda on loan but admitted he needs to strengthen his defence. Samba, who joined Rovers for £450,000 in 2007 from German side Hertha Berlin, has made 160 Premier League appearances, scoring 16 goals. Blackburn deputy chief executive Paul Hunt told BBC Radio Lancashire that the player was not for sale. Warnock may return with a larger offer, but he could have a fight on his hands to sign Samba as Tottenham Hotspur are also reported to be interested. Blackburn also confirmed assistant manager Paul Clement has left the club to join Paris St Germain to be reunited with his former Chelsea boss Carlo Ancelotti.